RBC, in partnership with the Canadian Olympic Foundation (COF), Canadian Olympic Committee (COC) and CBC Sports, has selected 25 young Canadian athletes, identified at RBC Training Ground events, who will now receive ongoing support through the program. RBC Training Ground is an innovative program designed to test and link undiscovered athletes with a sport that could excel them onto the podium. 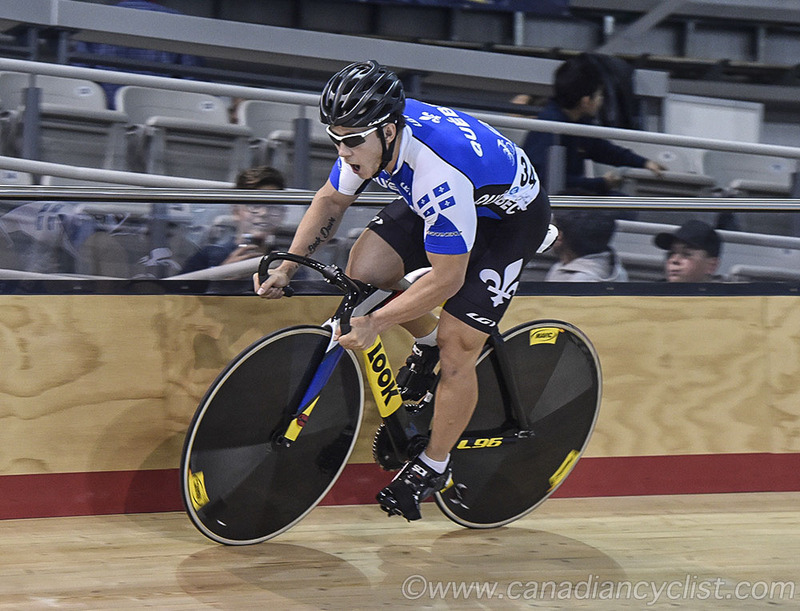 Patrice St-Louis Pivin of Sherbrooke, Quebec, who was a member of the bronze medal winning national squad at the Pan Am Championships in the Team Sprint, is one of the supported athletes. "We believe when we invest in youth, great things happen," said Matt McGlynn, vice president, brand marketing, RBC. "RBC Training Ground provides young Canadian athletes with the opportunity to challenge themselves against National Sport Organizations performance standards, and these 25 athletes rose to the occasion. We are proud to have helped uncover their talent and provide the necessary support they'll need to accelerate their Olympic dream." RBC Training Ground is a series of free regional events where select local athletes between the ages of 14 and 25 participate in workouts measuring speed, power, strength and endurance. Performing in front of coaches and officials from a variety of national and provincial sport organizations, results are measured against performance benchmarks to determine an athlete's capacity for sport at its highest level. "Our nation is filled with talented athletes and we know that Olympic dreams don't always follow the same path," said Eric Myles, executive director of Sport at COC. "By creating a stage where our sport federations can find new talent, and then providing financial support to the athletes who show the most promise, RBC is filling a gap in our high performance sport model and making a very real and positive contribution to our nation's Olympic future." The following identified athletes receive additional assistance such as funding, resources, coaching and/or mentorship through the COF and RBC. The support is administered through the National Sport Organization (NSO) the athlete agrees to work with. National sport governing bodies who participated in RBC Training Ground included Athletics Canada, Bobsleigh Canada Skeleton, Canoe Kayak Canada, Cycling Canada, Rowing Canada and Rugby Canada. "RBC Training Ground is the catalyst that will link undiscovered Olympians with a sport that could excel them onto the podium," said Peter Shakespeare, Director of National Talent Identification and Development, Rowing Canada. "With the right training environment and support the athletes uncovered at these events could be wearing the Maple Leaf at the 2020 and 2024 Olympic Games. RBC Training Ground truly exceeded our expectations in its first year, and we look forward to being a part of the program for years to come." Program partners CBC/Radio-Canada, the COF and the COC have joined RBC in committing to RBC Training Ground for five years. CBC will help introduce Canadians to the athletes and their stories uncovered at each RBC Training Ground event over the upcoming year.